» Why Use Stock Investor Leads? Sparking such interest is helped greatly when the right conditions are in place. The people who are most likely to actually buy stock are those who already seek to do so. Indeed, it is the case that you cannot actually sell products to people. The most you can do is present them the opportunity to act on what they had it in mind to do. Getting the right stock investor leads is a crucial part of succeeding as an investment manager. 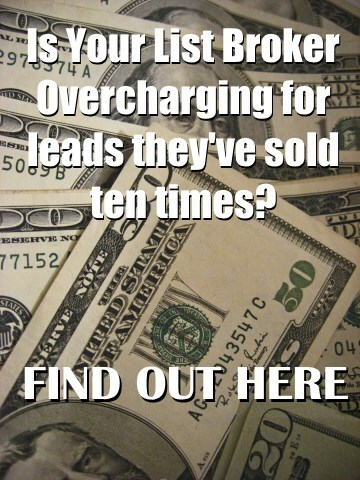 Spending your time working through generic leads and making cold calls will make getting results very difficult. If you find yourself in the position of the fast-talking, half-truthful salesman, then you are probably going about your work the wrong way. There is a better, more productive, more results-oriented approach to take. Working with stock investor leads that have been checked out by qualified and highly successful financial services firms will move you in the direction that you want to go. There are as many kinds of stock as there are businesses and industries. They are not all suitable for every kind of investor. If you start with the stock and then try to sell it to people whose needs and interests you know nothing about, you are likely to run into a great many dead ends. However, if you begin with a list of accredited stock investor leads, then you will know that you’re contacting individuals and groups that have a specific purpose in mind and are willing and ready to work with you to invest. This is the much better way to go because it relies on sound intelligence and well-formulated strategy. Rather than trying to make one big score from a list of investor prospects you should spend your time speaking to people who are serious about investing and haven’t already been bombarded with calls and emails that they’ve steadily refused. Working from such a list and in that kind of environment is not only demoralizing it is wasteful. It is right that you’re willing to work hard and take chances in order to increase your conversion rates and become a professional success. You should, however, march smartly towards both goals. Having leads ready to invest is the best position to be in. It will enable you to sink your time and energy into an effort that is likely to pay off. The stock market is complicated, but the interaction between you, as a stock broker, and your prospective clients is not. Like most transactions, it really comes down to you figuring their problem or need and presenting solutions to meet it. Having the right stock investor leads will provide you with access to people whose operations and aims you will be privy to even before you make the first call. This is the best place to be in. It will boost your likelihood of success in closing a deal that will benefit the both of you. This entry was posted in Stock Investor Leads by John Fischer. Bookmark the permalink.